I recently had the opportunity to remodel small powder bath and what a difference changing a few design elements can make. Unfortunately, I do not have a pre-remodel photo but imagine a icky laminate counter top, peach-hued porcelain mirror and red walls. After 15 years, it was time for an update. There are three areas in a house that should garner the most attention: Kitchen, Master Bath and Powder Bath. These areas add the most to resale value and where small design details can have the greatest impact. I’ve been obsessed with gray for about 4 years nows and this color is really hitting the market in all areas of design. Warm or cool gray, you cannot go wrong. Soapstone is an amazing natural solid surface and although it has been used in homes in the northeast for centuries and your highschool chemistry lab, it is just now gaining home installation popularity in this area of the country. Always a classic and timeless choice. The client has this type of slate mosaic in other parts of the house. It just made sense to carry it though out the home and into the powder bath. 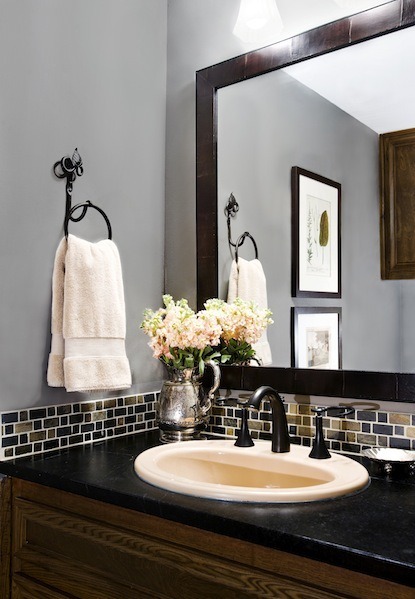 If you have an odd size space where a conventional store-bought mirror will not fit or is uninspiring, turn to custom. This is an easy and relatively inexpensive solution. You can purchase a custom frame from Michaels, Hobby Lobby or JoAnne Fabrics and have a glass company fit the frame with a mirror. It will give your space that extra added thought out detail. When selecting new hand towels or linens, I like to pull colors from a detail in the room that has the most colors, like the bathroom tile. If in doubt use a contrasting color, like the cream accents found in the backsplash. A project for me big or small deserves equal attention and this powder bath proves that even the smallest room in the house can be a showpiece! 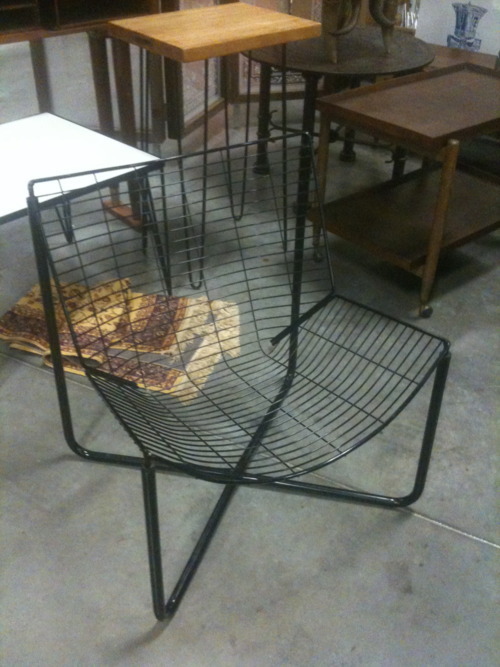 I am not sure where this obsession stemmed from but I have to admit I have a thing for chairs. Could it be their unique form mixed with functionality? I’ll let you decide. Here are a few that have jumped out at me during travels. I will own this one day! Found in an antique store in Fredericksburg, Tx. 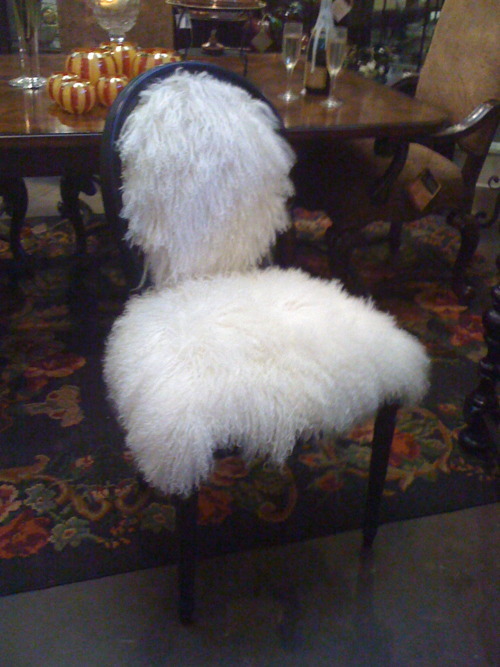 Hand painted and lined with Llama wool. Love, Love, Love. 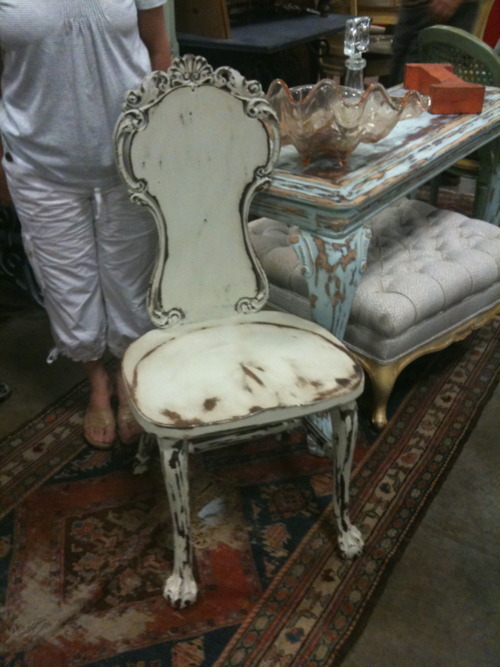 This shabby chic little chair would be perfect next to a writing desk. 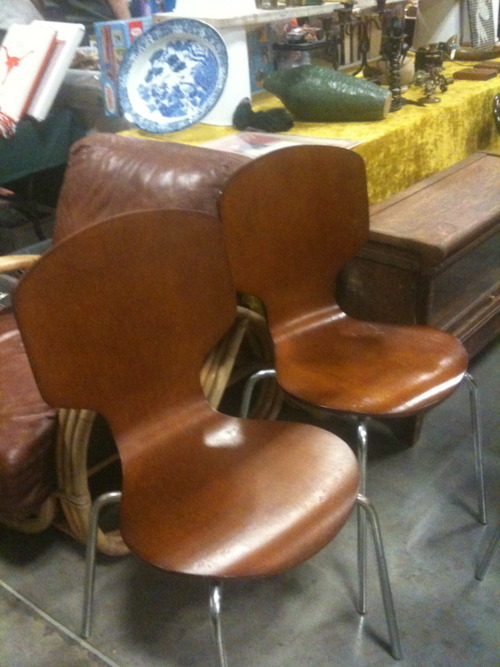 These stackable mid-century modern chairs are so versatile and pretty comfortable too. Another great mid-century modern example. 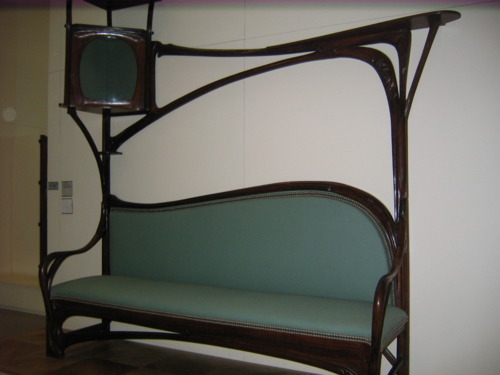 A museum quality Art Nouveau bench. Unfortunately, the museum where this piece of furniture art is displayed slips my mind but how grand would this look against the wall in a foyer! Is there a style of furniture or piece of furniture in your home that you are in love with? Standard protocol of a blog…why am I blogging. Having recently hit the ground networking for business purposes and attending networking seminars, everyone I’ve spoken to has said it was key to have a blog. And recently, in an intimate networking environment, I found that people were even more interested in what I had to say about design. Whether it be weekly or monthly, I look forward to sharing with you design tidbits, everyday inspiration and a home to update you on my on going design projects. 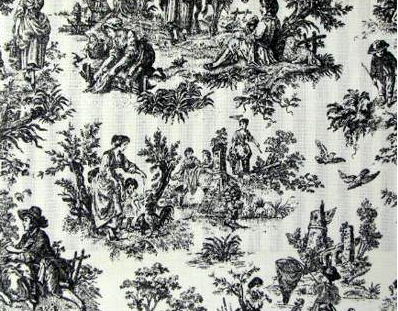 Toile pronounced ˈtwäl or some times known as Toile de Jouy is one my most beloved fabrics. 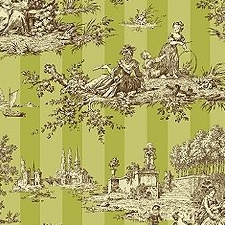 As for application, toile is not just for fabric, I have see this application on plates, wrapping paper and even wellies. Toile is the name of a fabric that entered the English language around the 16th century from a French word meaning “linen cloth” or “canvas” — particularly cloth or canvas for painting on. 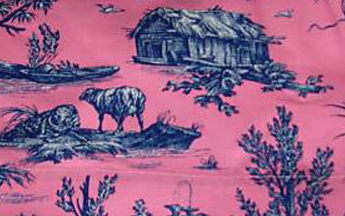 Classic toile depicting a fairly complex scene, generally of a pastoral theme, set on white or off-white background. It must be the romantic in me, because I just fawn over toile. Or maybe it all harkens back to a past 16th century life I once lived. 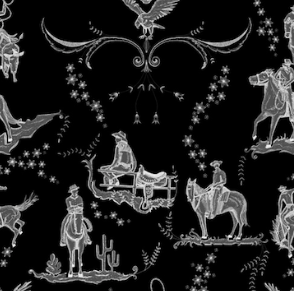 And as I’ve said for years, one day I will have a room in my home entirely dedicated to this fabric.